If you enjoy luxury and sophisticated elegance, Leisure Isle Lodge will delight you. Savour the sights and sounds of Knysna from Leisure Isle Lodge, perfectly positioned on Bollard Bay near the majestic Heads. It is an exceptional retreat offering superb accommodation and uncompromising levels of service. Eleven spacious, well appointed, individually decorated suites or double-rooms en suite enjoy either magnificent lagoon views or open out onto the garden and swimming pool. To add to the charm and intimacy, the soft, fine linen; huge beds and thick white towels quietly whisper romance. Of course each room is equipped with satellite television, mini bars, beverage facilities, hairdryers, heated towel rails, under floor heating and ceiling fans. Here at Leisure Isle Lodge we aim to create an atmosphere of enjoyment, luxury and ultimate peace of mind which is why we take pride in our high levels of service and upmarket facilities we offer. * Conveniently situated right on the beach. * Quiet and restful atmosphere. * King size, Extra-length beds, direct line telephones, satellite TV, coffee & tea making facilities, hair dryers and under floor heating. * Member privileges at Pezula and Simola at reduced rates. * Bar Lounge & verandah overlook the Lagoon. * Twin bedded rooms face the heated swimming pool and beautiful garden with braai patio. * Beautiful guest lounge with open fireplace. * Hospitality bar and lounge, all with wonderful views of the lagoon. * Solarium overlooking the pool. * Major credit cards accepted. * Children 12 plus welcome. * Canoes & mountain bikes available. Take an island stroll, try your hand at a little lagoon fishing, enjoy a leisurely swim in one of the island’s safe bays or beaches, paddle across the lagoon in a canoe, ride a mountain bike around the island or take a dip in our eco-friendly pool. Enjoy full member privileges at the world-class Pezula Championship Course and Simola Golf Course. What better way to spend a day in paradise? After a hearty breakfast you can look forward to all that Leisure Island has to offer - you could take a stroll around the island, perhaps cast a rod onto the waters of the lagoon, or enjoy a leisurely early morning swim in one of many little bays or beaches close to the lodge. For those who prefer a warmer and more luxurious experience, our heated swimming pool is a winner, come rain or shine. And for the more energetic, there are bicycles, wind-surfers and paddle skis available. 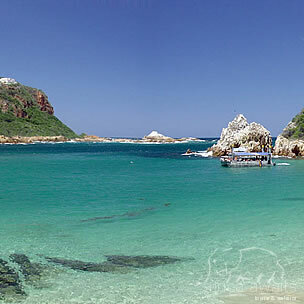 As far as activities further afield go, Knysna is famous for its 'village' atmosphere - there is so much to see and do! Spend the day exploring the art routes with galleries, shops, arts & crafts, bistros, golf courses, game parks, restaurants and pubs. Remember, no visit to Knysna is complete without savouring a walk or drive in the indigenous forests. With the end of the day brings a return to the lodge to take in one of the magnificent sunsets. What better way to end a perfect day? Within the privacy and tranquility of Leisure Isle Lodge is our own, privately-run Skin Renewal Spa. Indulge your senses at our intimate facility, specializing in Dermalogica and Danne products. The Spa offers a vast range of treatments which include deluxe facials, aromatherapy & Indian head massages, manicures, pedicures and waxing. Highly trained therapists will ensure that you are pampered from head to toe. Dining at Leisure isle Lodge is an elegant and intimate affair. 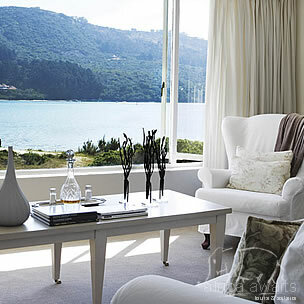 Creamy white on white elegance is enhanced by well-appointed tables and a relaxed atmosphere. 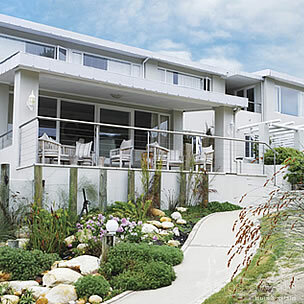 Enjoy exuberant cooking in the light and airy dining area, or outside on the deck, overlooking Bollard Bay and the lagoon. With your holiday, safari or business trip from in to Leisure Isle Lodge in The Garden Route.